Mr. Chairman, I come before the committee with no agenda. I have no platform. Judges are not politicians who can promise to do certain things in exchange for votes…I will decide every case based on the record, according to the rule of law, without fear or favor, to the best of my ability. And I will remember that it's my job to call balls and strikes and not to pitch or bat. Despite this “solemn” promise, Roberts set out, almost immediately, to advance an anti-affirmative action agenda. His decisions also show a record of hostility to the Civil Rights advances of African Americans. In a 2007 case, Parents Involved in Community Schools v. Seattle School District and Meredith v. Jefferson County School District, the Roberts Court struck down voluntary school desegregation programs. School districts in Seattle, Washington and Louisville, Kentucky, developed assignment plans which assured that student populations in individual schools would reflect the racial demographics of the school districts. The purpose of both programs was to prevent segregation in individual schools. Under the Equal Protection Clause of the Fourteenth Amendment the legal standard that applies to governmental policies that classify on the basis of race is "strict scrutiny." To satisfy this requirement, the government must have a "compelling justification" for the classification and the means chosen must be "narrowly tailored" to achieving a legitimate governmental interest. In Parents Involved, groups of white parents filed suits contending that their children had been denied admission to the schools they preferred. The question in both cases was whether public school officials could use race conscious student assignment plans without violating the Fourteenth Amendment. Roberts rejected diversity as a compelling governmental interest in elementary and high school student enrollments. Race could never be a factor in admissions assignments. He added cynically, “[t]he way to stop discrimination on the basis of race is to stop discriminating on the basis of race.” This disingenuous comment equates affirmative action to remedy past discrimination to a “no blacks allowed” sign on a restaurant in the pre-Civil Rights South. There can be no legitimate comparison between the two. In 2003, the Supreme Court ruled in a case involving the University of Michigan that the Equal Protection Clause did not prevent the use of race-conscious admissions criteria to promote student body diversity. This should have been controlling legal precedent in Parents Involved. However, Justice Roberts’ plurality opinion attempted to distinguish the Michigan decision because it involved what he asserted were the “unique” circumstances of higher education. Roberts did not explain how student body diversity in higher education is different from diversity in elementary and secondary schools. This was a classic case of “distinction without a difference” when both principles were exactly the same. Associate Justice Anthony Kennedy disagreed with Roberts stating a “compelling interest exists in avoiding racial isolation.” However, Kennedy and four other justices agreed that the assignment plans were not “narrowly tailored.” Race-neutral means should have been explored before resorting to a process that considered the students’ race. This created the 5-4 ruling against the school districts. Parents Involved makes efforts to achieve student body diversity in elementary and high schools extremely burdensome and difficult. In another case, Ricci v. DeStefano (2009), the Roberts court ruled that white firefighters in New Haven, Connecticut, were victims of discrimination because they were not promoted after passing tests for lieutenant and captain positions. The test results were discarded after it was shown the test-based promotions would have excluded a disproportionate percentage of African American test takers. The majority held that New Haven acted with an intent to discriminate against the white and Hispanic firefighters. To resolve what it viewed as a tension between the disparate impact and disparate treatment requirements the majority in Ricci imported a standard from affirmative-action jurisprudence under which race conscious actions by government actors are constitutional only when there is a “strong basis in evidence” that remedial actions are necessary. This decision undermines long-standing disparate impact jurisprudence in which race-neutral policies are unlawful when they exclude a disproportionate percentage of racial minorities without a “business justification.” This is exactly what the promotional examinations would have done in this case. New Haven acted in accordance with existing precedent. The Roberts majority upended well-established precedent to the detriment of racial minorities. None of these claims was established at any trial. Alito speculated that “a reasonable jury could easily find that the city’s real reason for scrapping the test results was not a concern about violating the disparate impact provisions of Title VII but a simple desire to please a politically important racial constituency.” Alito portrayed Kimber as an angry black bigot who frightened and intimidated whites. Kimber is an imposing, dark-complexioned African American male. Alito’s harsh portrayal fits the longstanding “Black Buck” stereotype; a large, hot-tempered, threatening, black male who defies white authority. Alito’s negative perception of Kimber suggests that he viewed Ricci through a fog of racial stereotypes and saw the case as an example of less qualified blacks benefiting from a “rigged” process that disadvantaged more deserving whites. In 2013, the Supreme Court decided Fisher v. University of Texas. In an earlier case, Grutter v. Bollinger, the Supreme Court applied strict scrutiny and affirmed the constitutionality of University of Michigan's affirmative action admissions program. In Fisher the Court affirmed Grutter’s ruling that student body diversity is a compelling state interest. This reverses the burden of proof in affirmative action cases and imposes on universities the nearly impossible obligation to show there are no workable race-neutral alternatives. Affirmative action survived Fisher hypothetically, but not in reality. 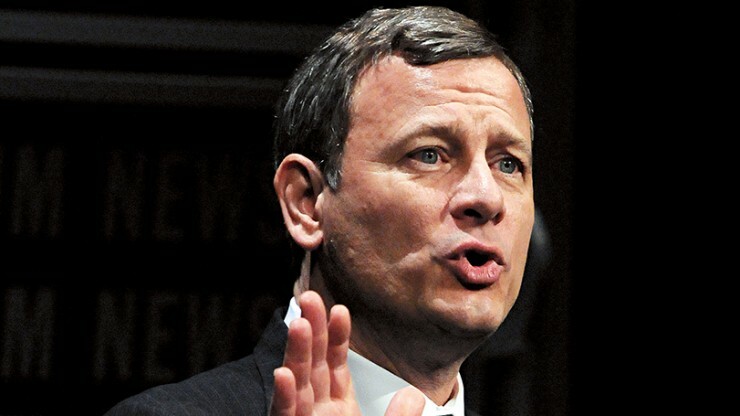 The Roberts Court achieved its goal of gutting affirmative action. In one of its most significant and far-reaching decisions, the Roberts Court in Shelby County v. Holder, struck down the preclearance formula for the Voting Rights Act, gutting the law and opening the door to voter suppression tactics. Under Section 5 of the Voting Rights Act, states and jurisdictions, mostly in the former Confederate states, had to submit voting law changes for pre-approval (“preclearance”) by the Justice Department. Roberts wrote that the preclearance requirement was no longer necessary because in his view, the tide of racism in America and the South had receded. It was unfair, he contended, for the federal government to discriminate against states to prevent them from discriminating against minority voters. The federal government argued that the evidence on which Congress in reenacting Sections 4 and 5 included 15,000 pages of testimony, reports, and data regarding racial disparities in voter registration, voter turnout, and electoral success; the nature and number of Section 5 objections; judicial preclearance suits and Section 5 enforcement actions; successful Section 2 litigation; the number of justice department information requests; reports from federal election observers; and evidence of racially polarized voting. Rejecting the mountain of evidence in the voluminous record developed during the 2006 Congressional hearings, the majority found that preclearance was justified in the 1960s but conditions have changed over the 50 years since the VRA was originally enacted. The current record did not show the widespread and rampant discrimination that was common in the 1960s. What happened in the case was a Supreme Court majority re-weighing the evidence that Congress amassed which is precisely what an appellate court cannot do. This violates the well-established rule that courts are precluded from re-weighing or reconsidering evidence during an appeal. There is another, equally forceful principle that the Supreme Court should "invalidate a congressional enactment only upon a plain showing that Congress has exceeded its constitutional bounds." No such showing was made in this case. Roberts ignored the extensive congressional record and arrogated to himself the authority to re-weigh Congressional fact-finding when there was no basis for doing so except to advance his anti-minority agenda. After the Shelby County decision, Republican-controlled states have rushed to institute all sorts of voting restrictions that would otherwise have been blocked. In, Schuette v. BAMN, (2014) the Court ignored controlling precedent and overruled an appellate court’s pro-affirmative action decision. The central question was whether an amendment to a state’s constitution prohibiting race conscious affirmative action in university admission decisions violated the Equal Protection Clause of the Fourteenth Amendment. The challengers in Schuette relied on Reitman v. Mulkey, 387 U. S. 369 (1967) in which voters amended the California Constitution to prohibit any state legislative interference with an owner’s prerogative to decline to sell or rent residential property on any basis. The Supreme Court concluded that the state constitutional provision was a denial of equal protection. In another case, Hunter v. Erickson, 393 U. S. 385 (1969) voters amended a city charter to overturn a Fair Housing ordinance and to require that any additional antidiscrimination housing laws be approved by referendum. The Supreme Court found that under the “political process” doctrine, by singling out antidiscrimination ordinances, the city charter amendment “places special burden on racial minorities within the governmental process,” making it as impermissible as any other government action taken with the intent to injure a racial minority. Relying on Reitman and Hunter the challengers in Schuette argued that the amendment placed special burdens on minority groups in a manner that violated the Equal Protection Clause. Justice Anthony Kennedy delivered the opinion for the three-justice plurality. Kennedy argued that the issue was whether the voters of a state could choose to prohibit the use of racial preferences in the decisions of governmental bodies. His opinion concluded that the attempt to define and protect interests based on race ran the risk of allowing the government to classify people based on race perpetuating the same racism such policies were meant to alleviate. While voters may determine that some race-based preferences should be adopted, it was not the role of the courts to disempower the voters from making such a choice. The reasoning of Reitman and Hunter was rejected. This was another battle in the Supreme Court’s war against affirmative action and other measures that seek to advance the equal rights of African Americans. The tide of racism in America and the South has not receded nearly as much as Justice Roberts contends. If anything, racial antagonism and hostility has grown as the nightly news reports of police violence against African Americans demonstrate. Voter suppression tactics are rampant. Roberts’ disingenuousness, lack of adherence to precedent and his overturning decades of prior decisions shows that his "real" agenda is anti-black.